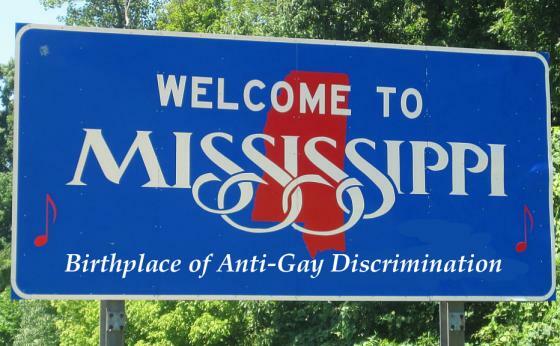 As most of you have probably heard by now, the United States Court of Appeals for the Fifth District reversed and injunction issued by a lower court that prohibited Mississippi's HB-1523 from taking effect. At the same time they dismissed the case which is captioned Campaign for Southern Equality v. Bryant. The cased was dismissed because the plaintiffs lack standing. That means, rather than an actual injury (which is required by law) the Court found that the injury was prospective or hypothetical. Plaintiff Rennick Taylor comes the closest by stating his intention to marry, but that alone is insufficient. He does not allege that he was seeking wedding- related services from a business that would deny him or that he was seeking a marriage license or solemnization from a clerk or judge who would refuse to be involved in such a ceremony, or even that he intended to get mar- ried in Mississippi. Without more, we are left to speculate as to the injuries he and the other plaintiffs might suffer. The New York Times has reported that lawyers say that the law is likely to remain blocked through the appeals process. If that is the case then the celebratory emails I have received from several anti-gay hate groups seem to be premature. HB-1523 is a particularly odious piece of legislation. It allows pretty much anyone — including civil servants — to opt out of providing services to a gay couple simply by citing the holding of an opposing religious belief. Moreover, this is Mississippi. Those fools are still fighting the Nawthun War of Aggreahshun™. At this point lawyers can request an appeal to the Fifth Circuit en banc or they can appeal to the United States Supreme Court. A third option exists seemingly for as long as the Fifth Circuit or Supreme Court do not rule in favor of the state based upon the merits of the case. A new litigant with an actual injury could start the process again at the federal district court. As you know, we have some of the best lawyers in the country on our side. This represents an unfortunate setback but this case is far from lost. In other legal news that you might have missed we have a much happier story. A gay jurist is about to be seated at New York State's highest court — The Court of Appeals (I know it's confusing but the lower court in the Empire State is the state Supreme Court). Justice Paul G. Feinman of the Appellate Division of the New York State Supreme Court has been confirmed. He will replace Sheila Abdus-Salaam who died recently. Feinman is well known to Roberta "Robbie" Kaplan, has been an active advocate for the LGBT community and is considered to be, … well, the Times used the term “mensch.” His former clerks have said that Feinman treated employees like family. His husband, Robert Ostergaard, is a web publisher. Feinman has a reputation for being a kind, empathetic judge. Prior to confirmation Feinman had unanimous approval from the Senate Judiciary Committee in spite of a Republican majority. There are normal, thoughtful GOPers who aren't beholden to the conservative Christian crackpots. Now if you would all do what you are supposed to do and register to vote and then pull levers every November, maybe we can get a Dem to succeed Trump in 2020. By then Feinman would be 60 and perhaps a candidate for SCOTUS. Yes, I am getting ahead of myself. Right now we do not even have a leading candidate for 2020. The prospect of Trump getting a second term is just too awful to even contemplate.